Will HōlHōm Work in My House? Will HōlHōm Work with My Smart Meter? Will HōlHōm+ Work with My Meter? HōlHōm connects to HōlCloud service over the Internet via your Wi-Fi providing you with a way to see your energy consumption and control your comfort settings. Because HōlHōm is also a gateway, you will be able to monitor and control almost anything that uses electricity in your house with the HōlHōm Smart Plug. HōlHōm also connects to your smart meter using the industry standard ZigBee Smart Energy Profile (SEP) 1.1. HōlHōm+ connects to your smart meter using an optical sensor to read your electricity usage. Both read your meter about 15 times more often than your utility does, AND sends your whole home’s energy use to HōlCloud every minute. You can access this data directly on the HōlHōm display, or remotely through the MyEnergate web portal or the MyEnergate mobile app for iOS or Android. And with its powerful built-in microprocessor, HōlHōm also automatically saves you money and reduces your carbon footprint. HōlHōm doesn’t have to learn because it’s already smart. Some thermostats use adaptive techniques to guess at what will make you comfortable and save you money. Others are not even smart enough to know that it should change the temperature settings when the price of electricity goes up. 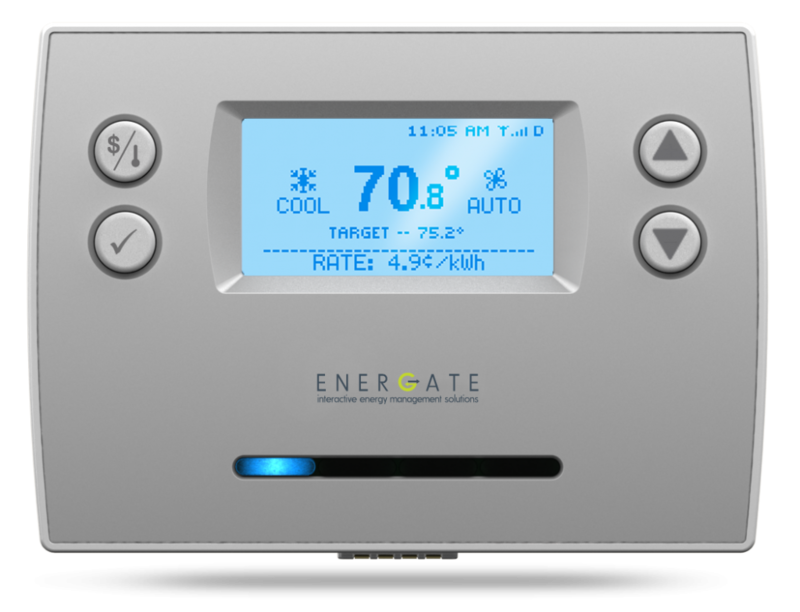 We don’t know of any thermostat that will show you how much energy you are using right now, and how much it is costing you, and how much you used yesterday, last week, last month, and last year. 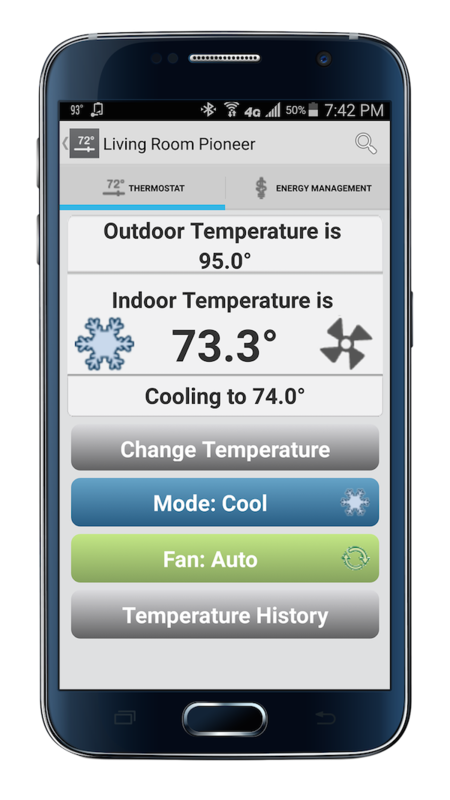 The HōlHōm Teaching Thermostat™ is like having your personal energy coach. It will show you, in real time, how you are doing. Oh yeah, and it’s an awesome thermostat. MyEnergate mobile app provides remote control (don’t blame us if you and your significant other start playing dueling remotes with your phones). See the current hourly cost of your electricity consumption. Your current, daily, and monthly electricity costs and usage. Whole house electricity consumption data. At-a-glance view of energy use. LEDs provide a visual display current electricity pricing. Advanced pricing view of energy use (energy use by price period). Automatically respond to price changes. Full scheduling features to match your lifestyle. You can connect additional appliances using the HōlHōm Smart Plug to expand your visibility and control of your energy use.